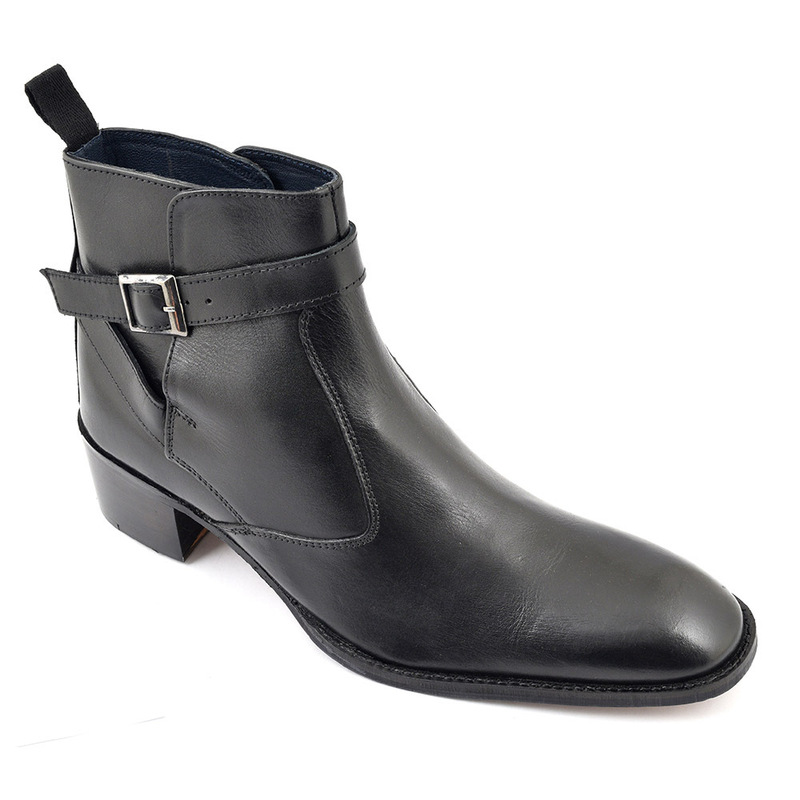 A black cuban heel boot with a buckle strap for a rock and roll edge. These are reminiscent of the 60s and named after the legends that wore them in their heyday. 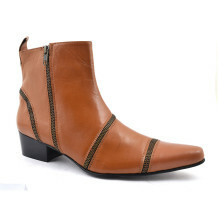 A funky 5 cm heeled black boot for men. 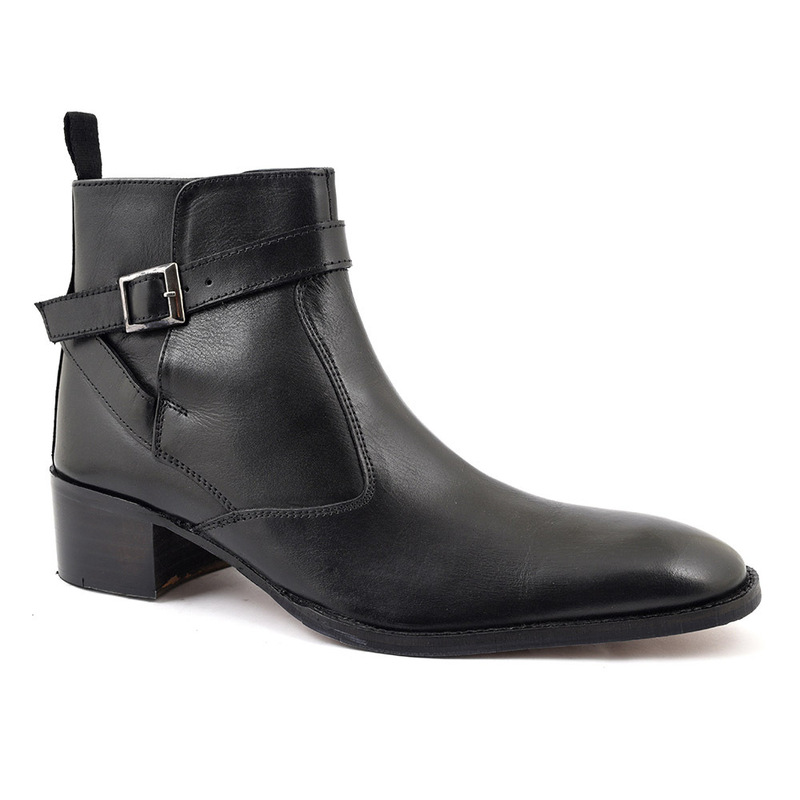 Named after Lennon, this mens black heel beatle boot is the epitome of 60s style with a contemporary twist. 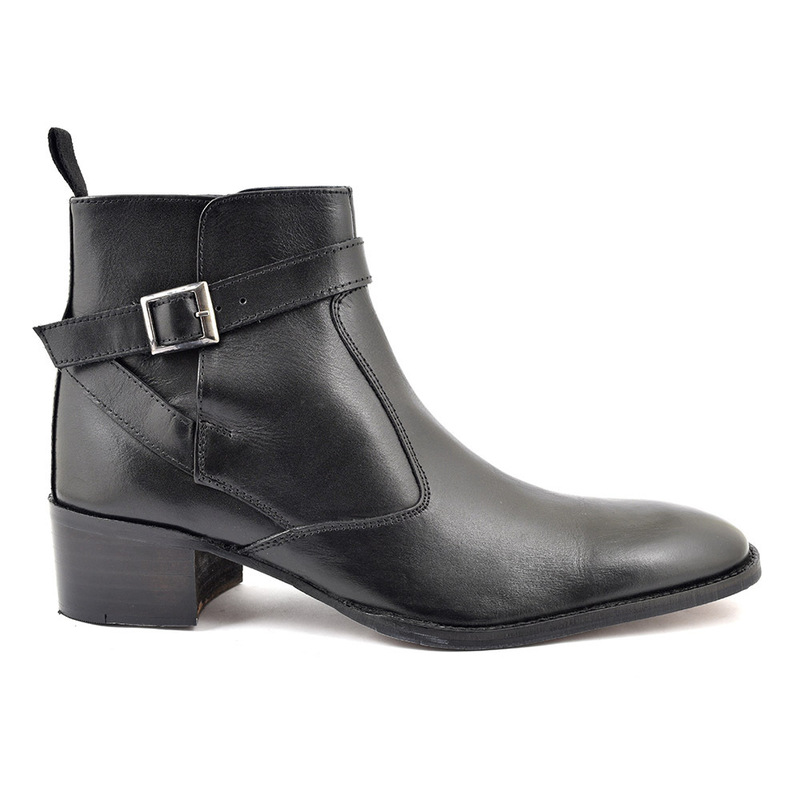 A black leather pull up boot which has a 5 cm heel, thats nearly two inches! This is half the height Louis XIV made his heels which were often decorated with battle scenes with the soles painted red. The red sole was the preserve of royalty and his chosen few. In fact heels and battle are where the origins of mens heels can be found. A ceramic bowl from 9th century Prussia depicted men on horseback wearing heels. Yes, it was considered a macho thing to do and this continued until women began to wear them. Over the centuries it became more a feminine look to wear heels but thankfully, we had the sixties and seventies to change all of that. 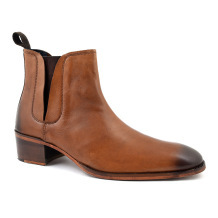 When kids began emulating their heroes wearing chelsea boots on stage like The Kinks and The Beatles around west london, the fab four took this one step further by asking for a heel to be attached. The cuban heel, so called because men who danced hot latino dances wore them. Of course, the style took off and we see many different genres and ages continue to wear heels (think platforms in the 70s and Noel Fielding today). 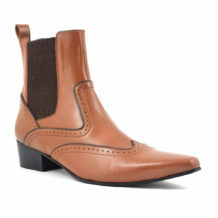 This black heel beatle boot is a designer feel heeled mens boot for rocking a confident and cool vibe. 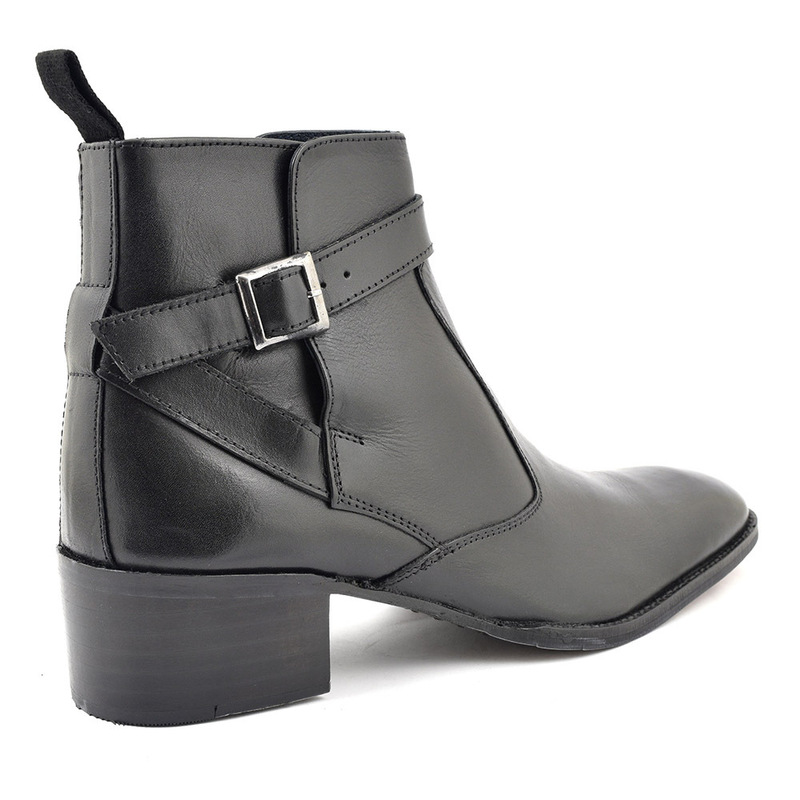 The chisel toe and buckle detail make this black heel boot a great choice to stand out in. 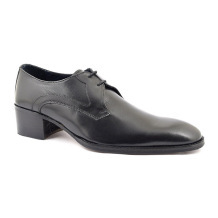 Be the first to review “John Black Heel Beatle Boot” Click here to cancel reply.